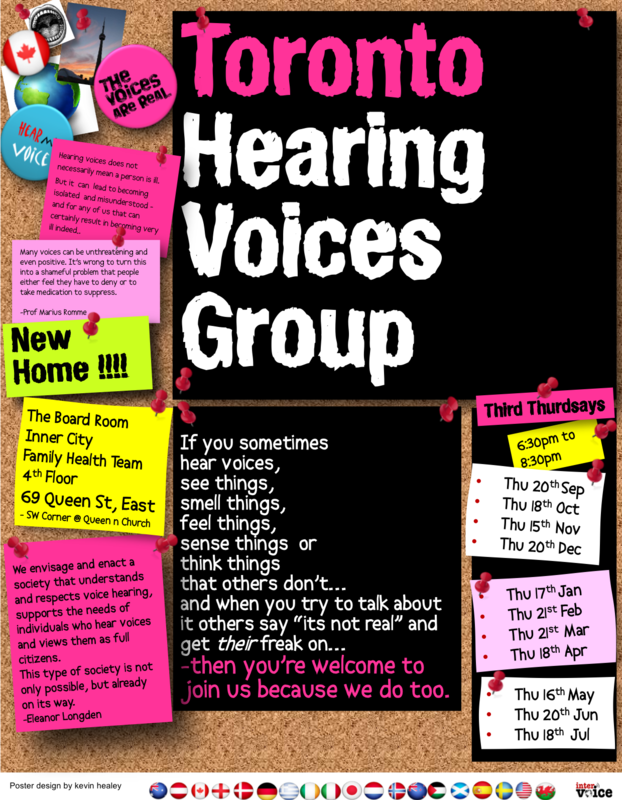 We are helping to build a Hearing Voices Network in Toronto. Hearing voices is a normal human experience. Research shows that 4 to 10% of people around the world experience hearing voices – that’s about 500,000 million people worldwide. As many as 40% report having at least one experience of hearing voices at least once in their lifetime. If you hear voices you are not alone. 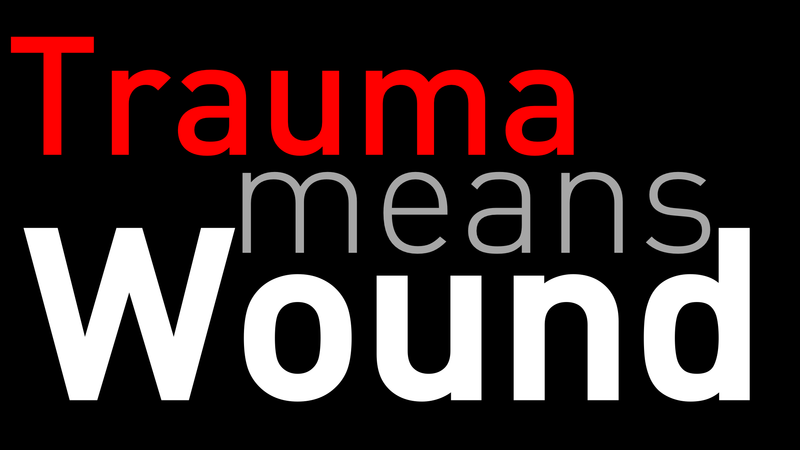 Many of us are troubled by our experience of hearing voices – others find ways of living with and even valuing their experience. The hearing voices approach does not seek to eliminate or obscure voices but to support voice hearers in finding ways to live more comfortly with their voices – by creating safe, healing spaces to share with, and learn from each other. Hearing Voices and Self Help a paper by Rufus May and Eleanor Longdon. INTERVOICEonline.org the website of the international hearing voices movement. 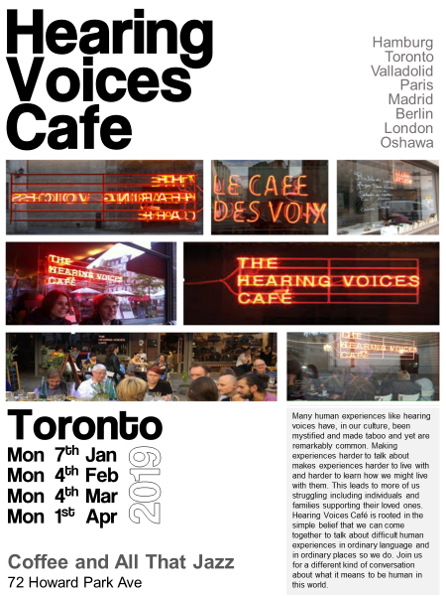 For: backgound info, tools, research papers, links to hearing voices networks and groups around the world. voices in your head a segment on radiolab.org – podcast interview with Charles Fernyhough about the connection between thought, inner speech, and the voices in our heads.